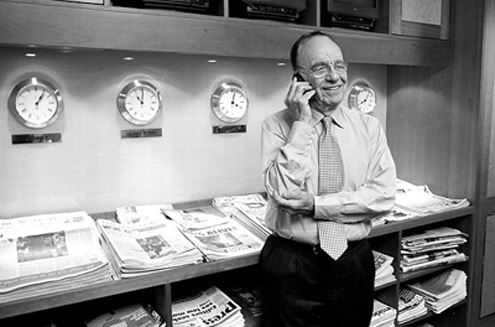 Rupert Murdoch is probably the most remarkable media executive the world has even seen. He built his empire from his father’s newspapers in Australia to being one of the biggest in the world. His foresight, and strength of character, has led to revolutions in the production of newspapers, in Britain, and an immensely successful satellite television network. He did this through being a risk-taking entrepreneur who ruthlessly pursued his own business interests. However, the cost to ordinary people has been enormous. Those damaged by the phone hacking are the obvious examples, however Murdoch’s massive influence on politicians of all political colours has had a detrimental effect on democracy for which everyone has suffered. If July 2011 has witnessed the beginning of the end of Murdoch’s influence then Britain will be a better place.